Many nonprofit organizations throughout Alabama accept vehicle donations as a way to earn money for their cause. Automobiles are often processed by a third party organization that sells the vehicle and gives the profits beyond the costs of towing to affiliated charities. If you live in the state of Alabama and have an old vehicle you'd like to give away, there are several regional charities who'd be glad to take it off your hands. In most cases, all you need to do is fill out a form, produce a clean title, and schedule a pickup. Public television channels run in each state are fully funded through donations of all kinds. You can now donate a working vehicle such as a car, boat on a trailer, or motorcycle, to Alabama Public Television (APT). Generally, donations must be towable and come with a clear title signed over by the donor. This charity only accepts vehicles whose value will be more than the cost of towing. Get started by calling 888.500.2781 or filling out the APT car donation online form. A towing company will pick up your vehicle at a scheduled time. Then, it will be sold for a profit. Those profits are used to fund educational programming and outreach programs provided by APT in Alabama. Ronald McDonald House Charities provide a home-like place for parents and caregivers to stay while their child receives medical services in a nearby hospital. In Alabama, there are two children's hospitals served by Ronald McDonald Houses (RMH), UAB Hospital and Children's of Alabama. Other services by RMH in Alabama include family rooms at DCH Regional Medical Center in Tuscaloosa and UAB Women & Infants Center in Birmingham. When you donate a car, motorcycle, or RV, it is picked up for free then auctioned for a profit. When you schedule your donation, you designate the Alabama chapter of RMH as the recipient of funds raised from the sale of your vehicle. Call 855.227.7435 to get started or fill out their online form. If you'd like your donation to benefit adults with intellectual or developmental disabilities, give your car to The Arc of Tuscaloosa County (The Arc). Despite the name, this organization provides employment and day-hab services to qualifying individuals in Tuscaloosa, Hale, Pickens, Bibb, and Greene Counties. Through a partnership with Melwood, a car donation center, The Arc accepts donations of cars, boats on trailers, RV's, and other vehicles. Vehicles in any condition are accepted and sold. Then, the proceeds are given back to the charity of your choice, in this case it's The Arc. Complete the online request or call 1.877.272.2270 to get started with your donation. When it comes to donating a car, the Internal Revenue Service (IRS) and Alabama Motor Vehicles Division (MVD) are your biggest resources. Guidelines and regulations for giving a vehicle to charity vary by county and state. A title transfer must take place through the MVD for your region. 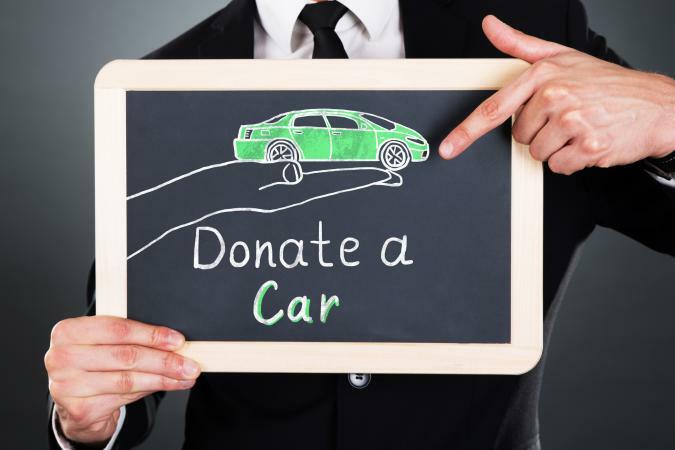 The donor acts as a seller would, and the recipient acts as a buyer would when gifting a car. The buyer in Alabama is responsible for completing the title transfer at the DMV, while the seller only needs to fill out a portion of the title certificate. Some counties require you to provide a gift affidavit or have a notarized bill of sale when donating your car. Check with your county Motor Vehicle Department for the requirements in your specific location. Giving an old car to charity is rewarding for you and those helped by the chosen nonprofit organization. You offload a large item, earn a tax deduction, and feel good about donating while the charity gets some much needed funds to uphold its mission.